The Subway Drawings are a meditation on a single line in Allen Ginsberg’s Howl Footnote, “Holy the mysterious river of tears under the streets.” The graphite drawings are based on iPhone photos of individual tiles in the New York City subway system, each of which are scratched, marked, drawn on and cracked, documentation of centuries of human contact. Together they comprise a vast dossier of the many souls that have brushed against these surfaces, a mysterious river under the streets. 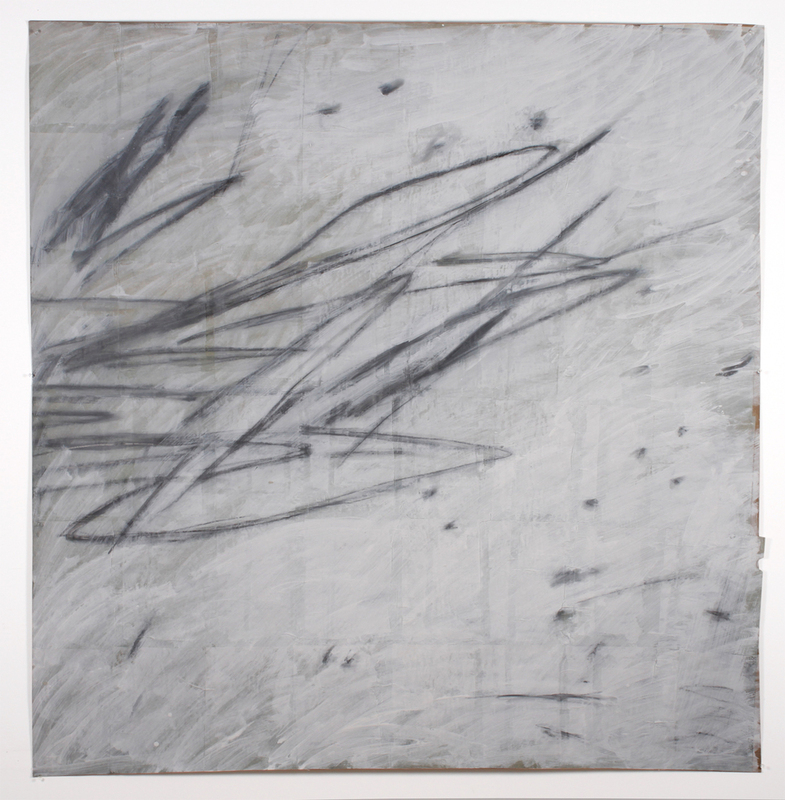 The artist’s process is also an elaborate commentary on the passage of time and the meaning of our constantly evolving social spaces: the digital photos are enlarged in tiled sections and printed on eight by ten-inch sheets of newsprint, reassembled with gesso on canvas or craft paper, and then drawn and painted out and redrawn with latex whitewash and graphite. The process of marking and negative mark-making, and the layering of nineteenth and twenty-first century fantasias on egalitarianism – collage-work and digital cell phone technology – comprise an intricate ecosystem of human narratives that touch on the tensions between access and limitation, presence and invisibility, marking and erasure, identity and collectivity.